On 24th of September 2014 a group of enthusiastic entrepreneurs participated in a lesson which focused on customer understanding and service-centric business. 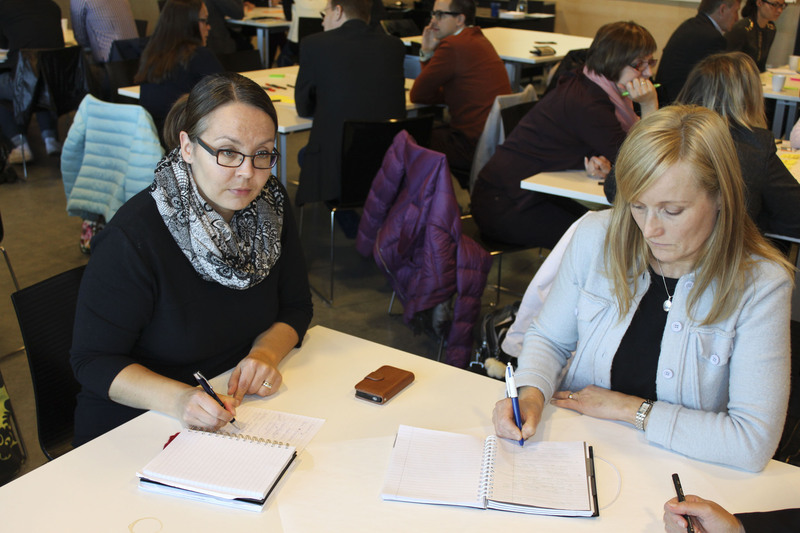 InnoEspoo organized the event which was a first part of “Osaamista ja oivalluksia” (Know-how and inspiration) entrepreneur -coaching events. The keynote speaker was Katri Ojasalo who works as Director of Master level education at Laurea University of Applied Sciences (UAS). In my opinion she can be called as a service design guru. Ojasalo has gathered a lot of knowledge and experience about service business via studies and projects during the past 20 years. Ojasalo presented the basics of service design. You might have heard about Bain & Company Survey i.e. 80% of the companies believed they delivered a superior experience to their customer. But only 8 % of their customers agreed. The survey was made in 2005 but it is still relevant. Jani Jylhä from the company Green Drivers presented how they have managed to make this gap, between service providers´ believes and customer opinions, smaller. 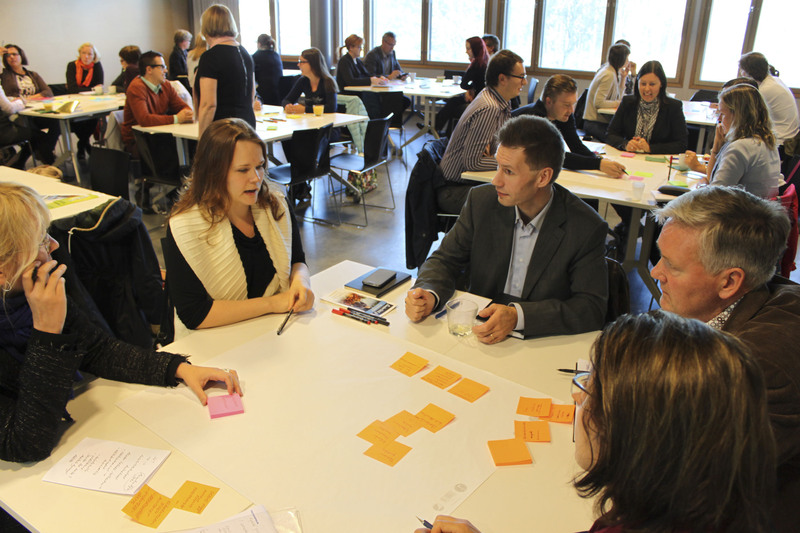 Their secrets were to understand customers´ needs and usage of service design in a business concept development process. 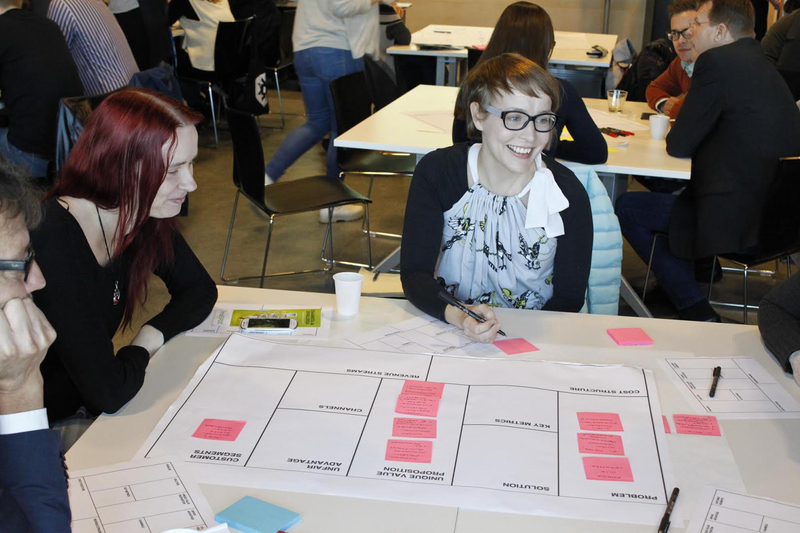 In a workshop part hosted by principal lecturer from Laurea UAS Leena Alakoski, participants worked with customer personas, customer journey and Lean Business Model Canvas. At the end of the session every group shared their results. I interviewed few entrepreneurs about their customer relationships. “Today my feeling just got stronger that I am on the right track. I just have to find even more ways to contact and involve customers to my business. It is really rewarding when you get good feedback from a happy and satisfied customer”, says Pakarinen. Outi Pakarinen owns and runs a company called Kude Design. Kude Design offers cloth coaching and Kude is also a clothing brand. Pakarinen has worked many years in clothing and textile industry. “With the help of my work experience I gathered a great deal of customer understanding before I established Kude Design. I made benchmarking and researched future trends about customer behaviour. I also got to know different industries and found that way something new for my business. I would say I got the whole business idea from the customers. We make products based on a real need. I use a designing by listening –method when designing new clothes. We do not make products if there is no demand from the customer side. I want to have an impulse from the customers so they can e.g. decide which colours they prefer to be in Kude collections.I communicate and gather customer insights through my website and Facebook page. I meet lot of people at the fairs. I am also very active in B-to-B networking”. Annastiina Mäkitalo learned from Katri Ojasalo´s lesson: “Customers want to buy solutions not services and products”. Kiinnoste is an advertising agency that offers illustration and visualization services. Mäkitalo gets new ideas through customers needs.“As an entrepreneur I’m always learning something new”, Mäkitalo says. Torniainen is an entrepreneur from Espoo. She has a company called Pisteen paikka that offers communication services for small and medium size companies and different public organizations. Services from Pisteen paikka are custom-made: “My services are actually always tailored case by case: co-operation starts with discussion and asking questions. I also work together with my clients. When I was starting my business over a year ago, I ran a market research to ask what kind of services my potential customers need and would most likely to buy”, explains Torniainen.